MSGT. 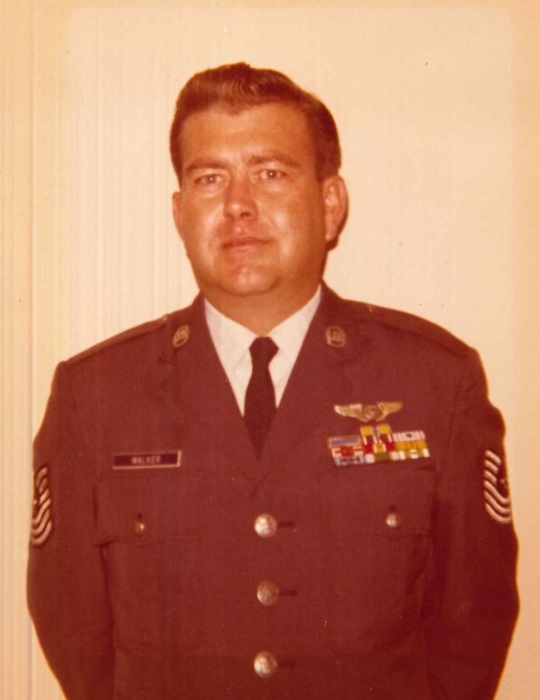 Larry Dean Walker USAF Retired, 82, of Sanford passed away Friday March 22, 2019 at Central Harnett Hospital in Lillington. Larry was born September 22, 1936 in La Crosse, KS. He served in the United States Air Force in South America, Germany, Vietnam and England. He retired after 20 years of service in Austin, TX in 1974. Larry also worked for Tracor Aerospace and retired as Master Planner. He and his wife, Arlene moved to Carolina Lakes in 1998 where he was involved in volunteer work in the community. He is survived by his loving wife of 60 years, Arlene Walker of the home; sister, Sherry Holmes and husband Homer of Texas; brothers-in-law, Robert Warne of Nebraska, Roger Warne of Colorado; niece, Carrie Tucker and family of Texas. A funeral service will be held at 2:00 PM Wednesday March 27, 2019 at Spring Hill United Methodist Church in Lillington with Rev. Dr. Jerome Smith officiating. Burial with full military honors will follow in the church cemetery. In lieu of flowers, memorials may be made to Spring Hill United Methodist Church, 1960 Spring Hill Church Rd., Lillington, NC 27546 or the charity of one’s choice.